The Educational Committee (EC) is composed of 14 members (7 teaching staff and 7 MSc student) who represent the research Master’s programmes of Graduate School of Life Sciences. The main task of the EC consists of assessing and ensuring the quality of education of the Master’s programmes within the School. This is done by evaluating Master’s courses, writing assignments, and research projects using students’ evaluations and teachers’ feedback. The main aspects that are evaluated are the scientific level of the courses, study efficiency and student satisfaction. In addition, the EC looks at the overall quality of all the master’s programs using student opinions, exit evaluations, and a yearly meeting with each master coordinator. The other tasks of the EC include yearly reviewing the Education and Examination Regulations (EER), discussing education related developments, and making general recommendation to the Board of Studies in order to improve the teaching within the GSLS. 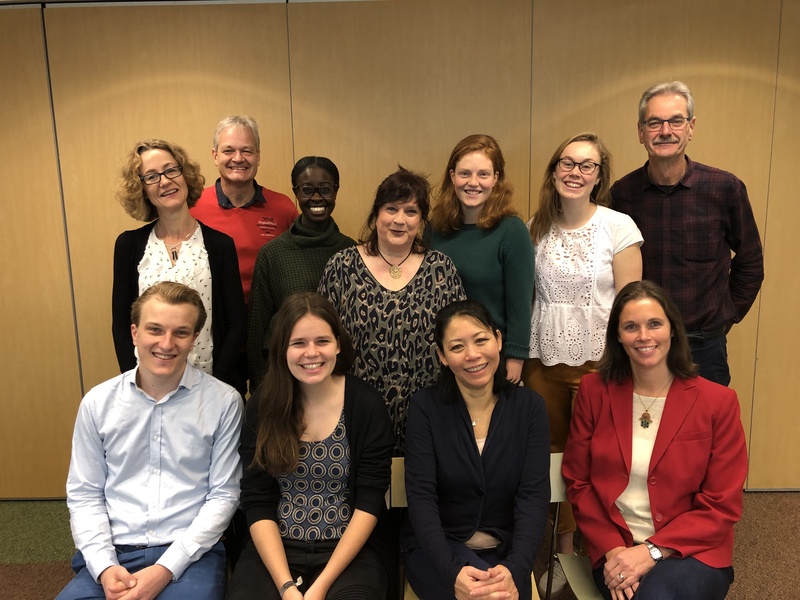 If you have any questions, complaints or suggestions concerning education in the Graduate School of Life Sciences, you can contact the Educational Committee via oclifesciences@umcutrecht.nl. Standing: Marianne Boes, Eric Huizinga, Mindy Asamoah, Marjan Batist-de Vos, Hanna de Groot, Geerte Koster, Paul Henricks. Sitting: Matthijs Roobeek, Esther van den Bergh, Inge The, Shirrinka Goubitz. Not in picture: Johan Bolhuis, Gerrit Koop, Joep de Ligt, Tom van der Most, Celeste Dull.